Do you want a deeper relationship with your Reiki practice, to access your insight and intuition, and unlock Reiki’s hidden spiritual teachings? Sometimes you feel like nothing is happening when you practice. The thrill has gone and you miss the experiences you had when you first started practicing Reiki. You’ve fallen away from daily practice, and you’d like to get back to it. You find it hard to talk to people about your Reiki practice because you haven’t found your own words to describe the benefits you experience. You know that as a spiritual practice, Reiki can take you deep inside to profound healing and revelation. But do you sometimes feel impatient, wanting more, wanting it faster? Whether you just learned to practice Reiki or you are a seasoned Reiki professional, there’s a way you can get more from your practice without adding complicated techniques. The gifts of Reiki practice are abundant and endless, but it’s up to you to connect with them. I can show you how. When I learned to practice Reiki in 1986, I had been practicing yoga and meditation for nearly 25 years. I was a meditation teacher and spiritual healer, helping clients support their health with natural methods, and find greater meaning in their lives. My clients loved to meditate together, but few made the effort to develop their own meditation practice. As someone who has a harder time staying out of meditation than going into meditation, I was surprised how hard it is for people to find their stillness. Reiki practice was the answer to a prayer. It quickly drew my clients into a quiet inner space. It isn’t always dramatic, but Reiki practice brings a noticeable settling of the nervous system. That settling alone is a good thing, but even more benefit comes when your awareness drops into that settled place. When you are simply present as you practice, you have a fuller experience, and find deeper perspective. As an experienced meditator, I knew — and enjoyed — simply being present during my Reiki practice, both self-practice and when I practiced on others. And I sensed that was why I seemed to get more from my practice than many people did, even my students who practiced consistently. During decades as a Reiki master teacher, I looked for ways to teach that awareness, without changing the practice. I teach Reiki practice the way I learned it 31 years ago. One day it came to me. Writing is therapeutic. It brings our awareness to our thoughts and helps us sort things out. 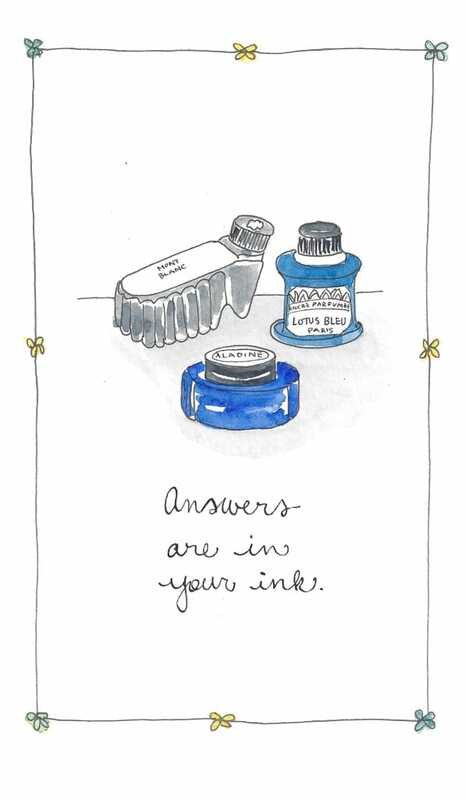 You know that if you’ve ever kept a journal or day pages. And seriously, doesn’t even writing a to-do list help you feel better? There’s something about giving an outer form to what’s inside us that is healing and empowering. I’ve been a writer since I learned to write as a child. In the (ahem) many decades since, I’ve written personally and professionally in many forms, from poetry and journaling to a book, a blog, and peer-reviewed medical papers! 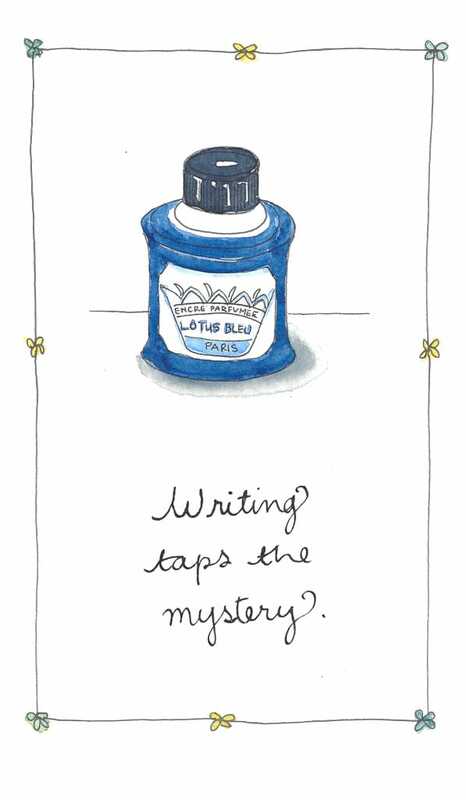 The one constant through all those projects has been free-writing, a practice writers use to warm-up their writing muscles and awaken their (sometimes snoring) muse. Free-writing is just that — it’s writing with freedom, writing spontaneously, without the inhibitions of content or form or even meaning. It’s a profound and effortless pouring out from within. Imagine writing without struggling to pull your thoughts together, with no concern about being judged, no worries about punctuation, grammar or spelling, just opening your creative spout and letting it flow onto the page or screen with the excitement of discovery. Finally it occurred to me — teach people to free-write immediately after their Reiki practice, when they've settled into their hearts, and their fingers can give voice to their deepest insights and intuitions -- EUREKA! So that’s what I did. I created a program in which you free-write after your Reiki self-practice every day for three weeks. Practicing self-Reiki first transforms your free-write into a freeform, spontaneous, inspired self-inquiry. I wrote a series of prompts to gently guide your self-inquiry so your free-writing unlocks the hidden treasures of your Reiki practice, what I call your golden content. I’ve also written articles to support your process, articles only available to WRITE REIKI participants, not available elsewhere. 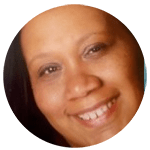 And I created our private online Writers Haven you can visit whenever you have a few minutes to share comments and insights, and read what others are experiencing. Notice I said “to share comments.” We never share our actual Reiki free-writes. Why not? Because if we did, you’d get inhibited. Your free-writing would stop being free. Your Reiki free-writes need to be private so they stay spontaneous, with no pressure of what others might think. In WRITE REIKI, your heart-inspired writing takes you where it will, revealing your deep understanding and true beauty. When you write freely, with an attitude of exploration and discovery, your free-writing brings you to a deeper awareness of yourself and your practice – your practice, just the way you practice. Profound insights emerge as your fingers give voice to your heart. 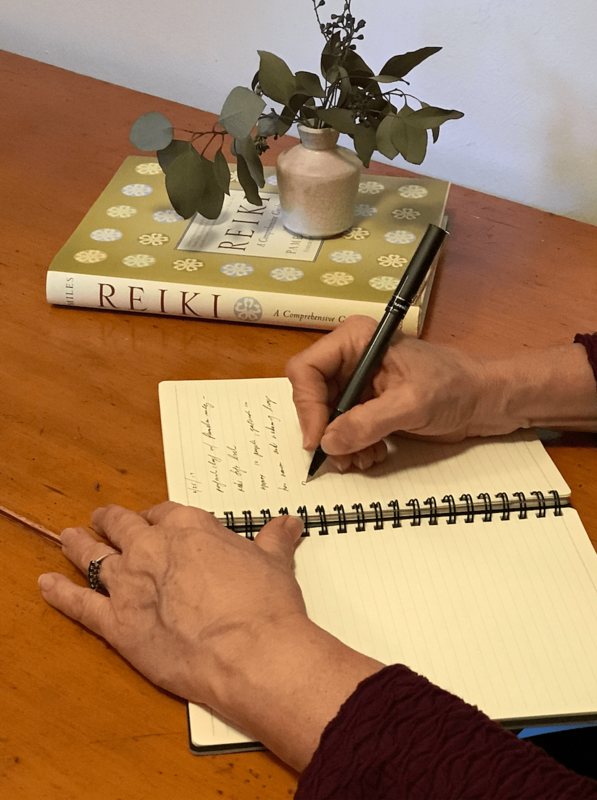 Write Reiki is a soft structure in which you free-write about your Reiki practice every day, uncovering insights, connecting with your intuition, training your awareness -- all with community support. Each day, whenever it suits your schedule, you’ll practice self-Reiki. Then, feeling centered and relaxed from your practice, you’ll free-write from the prompt provided for 15 minutes (less as needed). 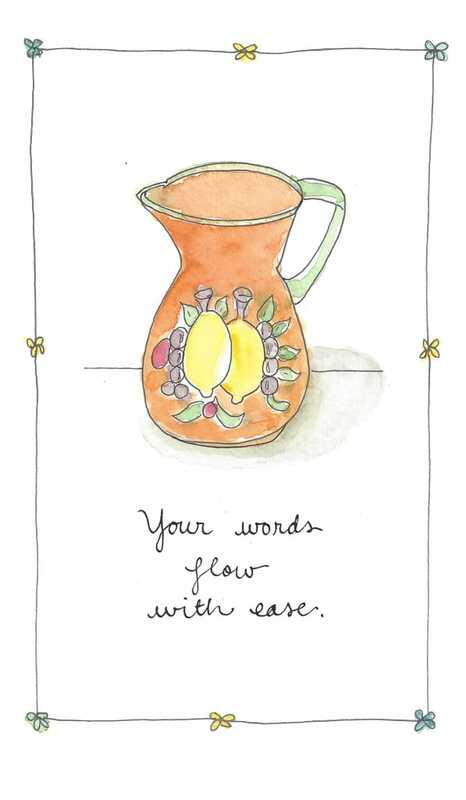 After your Reiki free-write, stop by our private online Writers Haven to share three words to describe that day’s free-write. read comments left by your co-writers. Stop by any time, as often as you like. Think of it as your spiritual Facebook! I'm there for you as much — or as little! — as you want, stopping by many times a day to respond to your questions and offer support. I found it easier than I thought I would, and was interested by how deep my thought process was throughout. 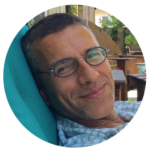 Throughout the program, I post short articles I’ve written specifically for this program to help you get the most from your free-writing experience. We also have an optional live and recorded online Q&A call in the second week. As you discover how much benefit your practice brings, you'll focus on what you can do instead of stopping because it's not perfect. You’ll discover unique, profound insights as your fingers gave voice to your heart, and you’ll develop a healthier relationship with your mind. The beauty of this program is you participate on your own schedule, at your own pace -- even if you can’t write every day. Any adult who has had at least First degree (sometimes called Level 1) Reiki training from any lineage and who has access to a computer and the internet. WRITE REIKI is two full weeks with an additional week grace period for people who want to keep Reiki free-writing on their own or who started late or missed some days and want to complete the program. Who will benefit WRITE REIKI? Any Reiki practitioner at any level of practice experience in any practice style or lineage can benefit from WRITE REIKI because the program takes them deeper into their own practice and accelerates their personal learning. WRITE REIKI teaches people how to remain a student of their practice for life, so their experience continues to deepen and unfold. Past participants have included people who just completed First degree Reiki training, as well as people who have been practicing professionally for decades — and lots of people in between! The only ones who don’t benefit are those who don’t participate. What is my daily time commitment? Flexibility is built into the program, so you can make it work for you. Plan on 20-30 minutes each day for your home Reiki free-write. You can pop into our private online Writers Haven any time you want to read the articles and interact with our international community. Fair warning: you might enjoy the Writers Haven so much that it could seriously pull you away from Facebook! 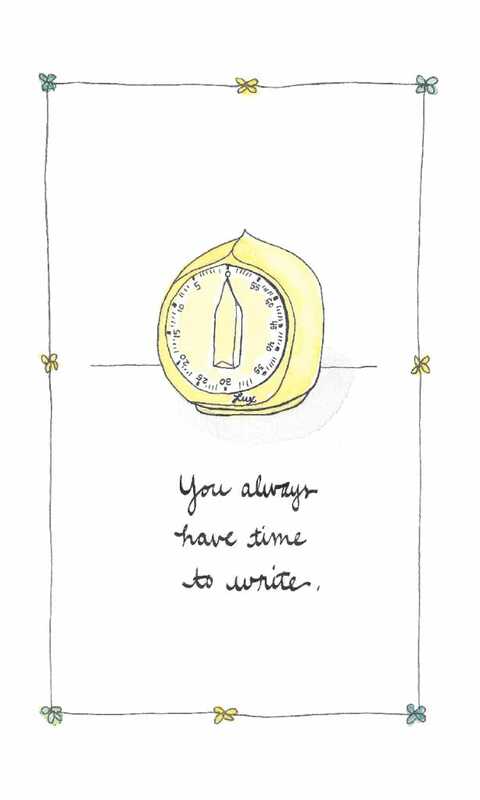 People enjoy the program and visit our Writers Haven often, but the amount of time you spend is up to you. There is ease in the program so you can continue to participate regardless how your daily schedule changes. Some days you might have a shorter Reiki free-write or you might even skip a day. No worries, just stay with it as you are able to. And you'll find the experience so valuable and supportive that you will want to keep participating. Reiki free-writing is practicing self-Reiki before free-writing from the prompt you are given each day. What do I actually do each day? First you practice hands-on self Reiki. Practice until you feel your state change, until your awareness drops into your heart. Then free-write from the prompt for 15 minutes. When the timer goes off, record three words to describe that day's experience of free-writing. Visit our online Writers Haven whenever you want, as often as you want, to read article specifically written to support your experience, share comments and ask questions, and read what your co-participants have shared. What Reiki training do I need? You are welcome to participate if you have taken at least one First degree Reiki training from any lineage or practice style. Each day, you will practice hands-on self-Reiki as you were taught. If you have a daily self-Reiki practice, you can free-write immediately after that, or you can do a short, modified practice to start your free-write. WRITE REIKI is not about the details of how you practice, but rather your experience as you practice. Do I have to share my Reiki free-writing? No, you do not share the Reiki free-writing you do at home. That is for you alone. Our online private Writers Haven is where we interact as a community, leaving comments, asking questions and reading what your co-participants share. Do we have to meet at the same time? Not at all. We have one live online meeting in the second week of the program, but you can access the recording in our Writers Haven if you cannot attend live. Do I need to write in English? No, you do not have to write in English. Your home free-write can be in the language you prefer, and if you are bilingual, you can switch around if you want. However, English is the common language for the program, meaning everything in our Writers Haven — all articles, prompts, blessings and comments – is in English. This is an online program, so assuming you have internet access through your computer and/or smartphone or tablet, there are no additional costs to participate. The fee stated is all you pay to access the entire program for all three weeks. No worries! This program doesn't require any writing skill beyond the basics of getting words on a page. WRITE REIKI is not about formal writing; you will not be composing essays in this program. Rather, the goal of Reiki free-writing is to express the understanding and vision that flows naturally from your heart after Reiki self-practice. If for some reason you cannot physically write, you can record a voice memo. Do I write on paper or use my computer? You can hand-write with paper and pen or use a keyboard, as you prefer. That is a matter of your personal comfort and accessibility. Because WRITE REIKI is a path of self-inquiry, it helps you refresh and deepen your Reiki practice no matter what obstacle you’re addressing, even if you don’t know what gets in your way, keeps you from consistent self-practice, and kills your enthusiasm. WRITE REIKI is a safe environment where you free-write your way to your own authentic practice. You discover greater depth, clarity and ease, noticing for yourself what holds you back and what tweaks you choose to make. And you get all those benefits through supported, daily exploration on your schedule, in the privacy of your own home, with the support of an accomplished Reiki master and an international community of Reiki practitioners who are seeking to deepen their practice. Your respect for your practice and your confidence grows as you discover insights and profound understanding. Your success leads you to appreciate more fully the transformation your Reiki practice offers. I’m really glad I signed up for WRITE REIKI – it’s already turning out to be an enlightening journey of discovery and self awareness. This daily free writing is showing me depths to my Reiki experience and Reiki practice that I did not know existed. Every day I can’t wait for the adventure. 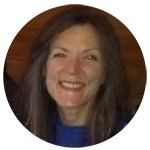 Each day I am uncovering and discovering insights, perspectives, sometimes frustrations and doubts, curiosity, and wonderings on a personal level; and then I receive daily gifts from all of you, in this community of Reiki writers, and from Pamela. I’m loving being here! Something magical is happening with these prompts! I am learning so many things about myself, diving deep into my memories and my subconscious, accessing my inner wisdom and finding gems and pearls to be polished and honed. I am genuinely surprised at it all. At times it feels as though I’m a deer caught in the headlights…as though there is only one answer and I’d better get it right. I’m so grateful to put those fears to rest with the daily free writing. I’m gaining clarity on separating out my personal feelings and experiences from the practice itself. I have a newfound awareness of the stories I tell. Writing for me has changed from a previously mental/physical task to a creative and expressive process. Thank you for your time, feedback and wisdom. Today I am realizing how wonderfully useful it is to have a safe place to write. There is a new freedom in producing words that is thrilling for me. Words can not describe the gratitude for you creating these programs, and confidence they have given me when writing and talking about Reiki. After I read what I write, I feel like I have given myself the gift of stopping to pay attention and listen to how I am really feeling. WRITE REIKI has given me the invaluable tool of free writing, and has been a safe forum to explore my Reiki experience. Free writing + reiki = deeper joy. I am starting to feel a flowing in my writing, an impulse that is beyond expectations, anticipation and fear. Writing from the heart, NOT the head. Big difference. Big change. So grateful for your encouragement, Pamela! Even though I couldn’t spend as much time on this program as I wanted to, it has done a lot for me. I looked at Reiki in different ways and writing each day reminded me to do my self-practice. It kept Reiki in the forefront of my thoughts during a stressful time in my life. I am glad I signed up. WRITE REIKI helped me see how my Reiki practice has deepened my understanding of “reacting” versus “responding.” In the daily free-writes, I began to observe what I think and how I think, without judgement. an invitation to continue with COMMUNICATE REIKI, a must-do program for any home or professional Reiki practitioner who wants to speak about Reiki practice comfortably, effectively, and with authority. Only those who complete WRITE REIKI can advance to COMMUNICATE REIKI. You will end WRITE REIKI with a deeper relationship with your practice. You'll also have a skill to keep your practice on the edge of your next frontier, continually deepening and growing your awareness. You’ll finish the program filled to the brim, and confident you can keep growing with your practice. The benefits you create in our three weeks together will continue when the program ends. People who have participated in the program more than once found the first time brings their minds, hearts and Reiki hands in alignment with each other, and each repetition of the program brings deeper insight and awareness. All Reiki practitioners are honored and welcomed in WRITE REIKI — and all my programs continuing education programs! You have a practice you love and that’s all that matters. The details of how you practice is your business alone. WRITE REIKI is not about how you practice; it’s about your inner experience, your unique insight — your golden content. Like gold, your golden content needs to be mined; you find your unique golden content when you dive inside and explore. In WRITE REIKI, your free-writing carries you deeper into your own practice so you find that golden content — your own hidden gems — and express them freely in your own words. 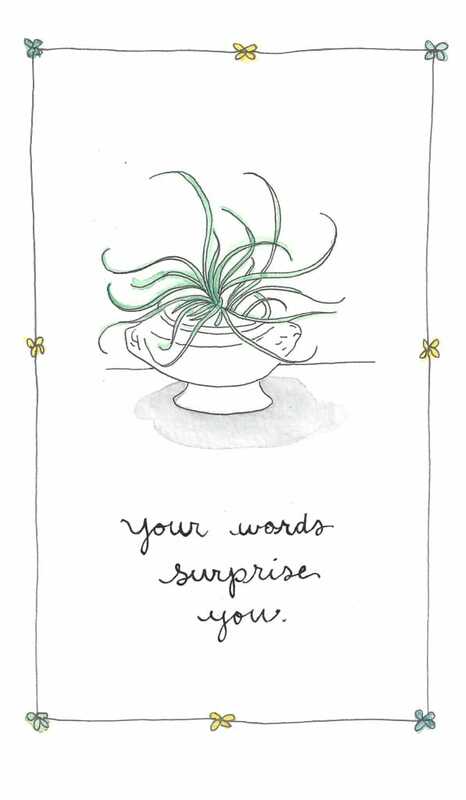 Your own words. The ones that feel right to you; not the ones that are “correct” or that you’ve been fed. 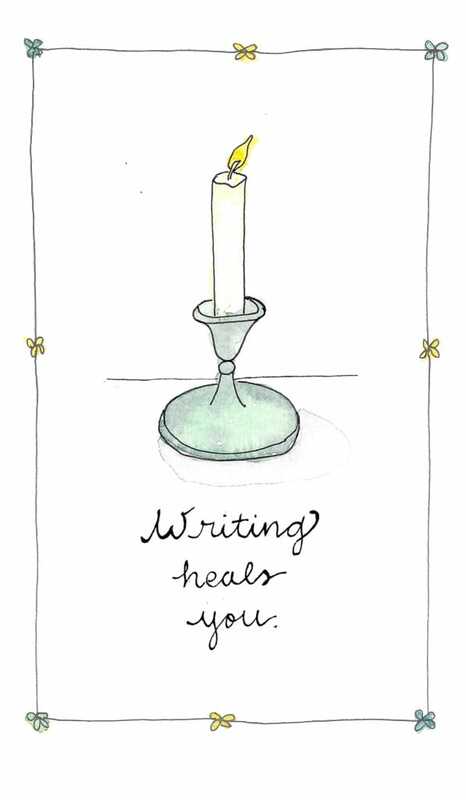 What you write at home is yours alone; we don’t share our Reiki free-writing. That privacy helps you feel safe enough to write from your heart without feeling self-conscious. I learned to step aside and let my Heart Voice put words on the paper instead of parroting someone else or writing what I thought others want to hear. Hello, I'm Pamela Miles. For 40 years, I’ve been helping people like you heal themselves and their relationships, discover their unique gifts, and live a life of meaning, from the heart. I’ve been practicing meditation and yoga for 50+ years, and I learned to practice Reiki in 1986. 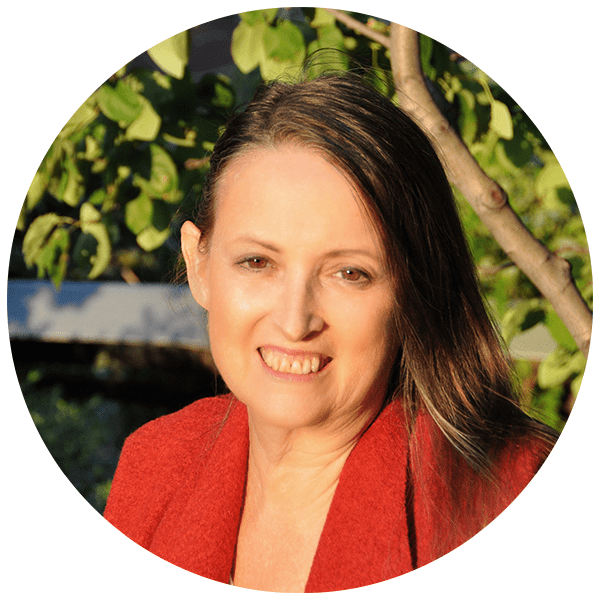 Since then, I’ve become an international Reiki master teacher and leading advocate for Reiki practice in mainstream media, featured on U.S. News & World Report, The Dr. Oz Show, and Allure. I've also been at the forefront of bringing spiritual practice — Reiki and meditation — into conventional medicine, including teaching at Yale medical school, presenting at Harvard medical school and the National Institutes of Health (NIH), implementing programs at NY Presbyterian/Columbia and other prominent New York City hospitals, collaborating on medical research, and publishing in peer-reviewed medical journals. In 2006, after practicing Reiki for 20 years, I published REIKI: A Comprehensive Guide. 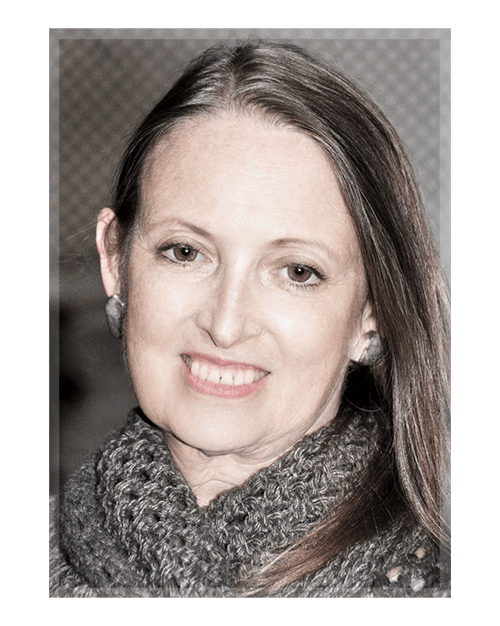 While mentoring Reiki practitioners from around the world and many different lineages and practice styles, I many practitioners need help getting out of your head and beyond what you’ve been told – or not told – to find your own authentic practice. I created WRITE REIKI to fill that need. IS WRITE REIKI right for You? 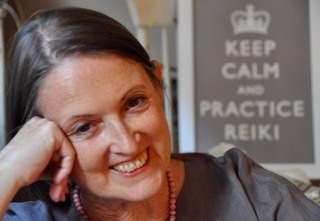 WRITE REIKI is for you if you want more from your Reiki practice. This program is not right for you if you think that will magically happen without any effort on your part. 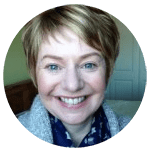 If you want to get more, if you want to become deeply engaged in your Reiki practice and experience the benefits that have kept me lit up about Reiki for 31 years, you need to do something different. Change takes commitment. WRITE REIKI makes it as easy as possible to create the profound change you long for. You’ll never have more support to move in the direction you desire. It’s time to join an international community of Reiki practitioners healing our world by healing ourselves. Please consider this: our world needs more people deeply engaged in spiritual practice, able to stay steady and find meaning amidst the challenges we face every day. We need you to make a difference. Please join us. The time is NOW! Join us and find your Reiki voice.